The living room was looking a little dull, with its blue and tan walls. 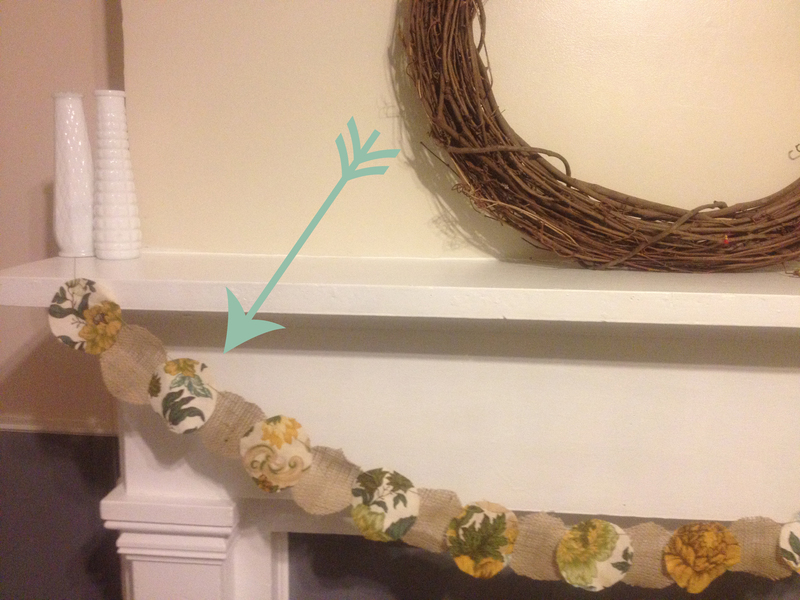 Wanting to brighten up the room, I made a garland using some scrap fabric. 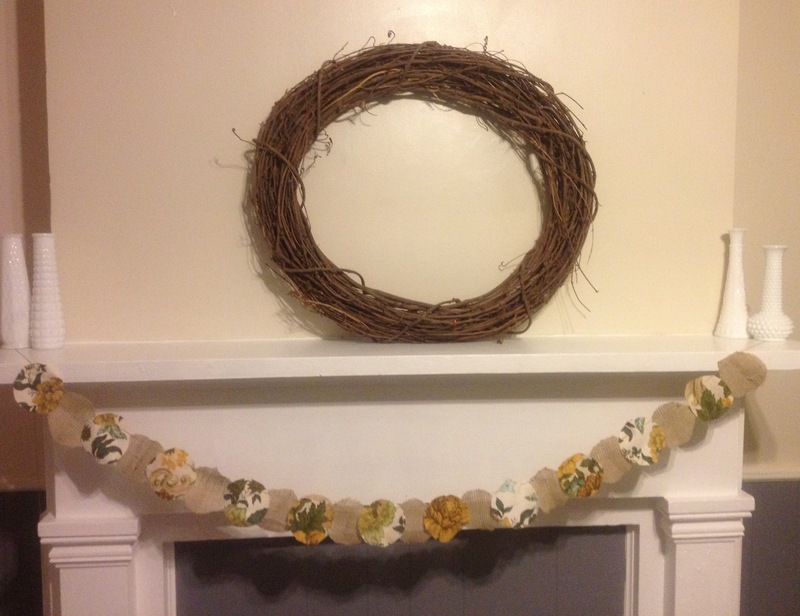 Just as simply as making the garland, the living room became a little more inviting. Try it yourselves! Cut a round circle from a piece of paper. Fold the circle in half and fold your fabric in half. Match up the halved circle and the folded fabric. Cut out the fabric while tracing the halved circle. This should leave you with one fabric circle. Repeat step 2. The more circles you have, the longer your garland will be. Thread through the circles, creating a pattern with your different fabrics. Put it somewhere in need of a little splash of color. PS: Flatter than flat, Illinois has some pretty landscapes.